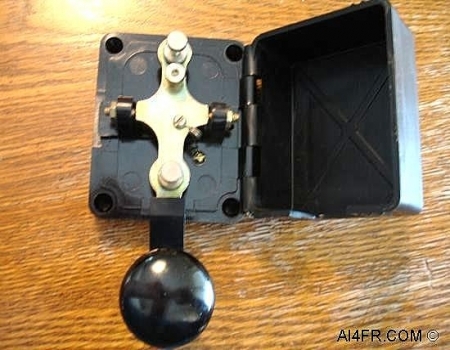 These first two photographs show both the top and the side of this Russian Telegraph key. 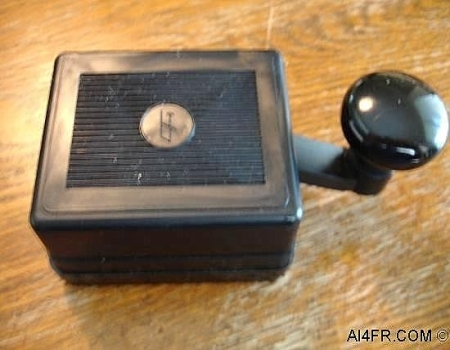 Like the other Russian Key in the collection, this one has a large plastic knob and hinged top cover. 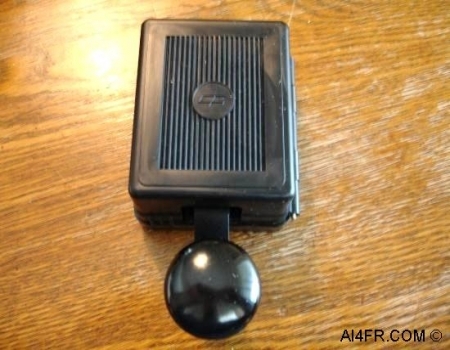 The hinged top cover not only helps to keep out dirt and grime but also protects the operator in the case of high voltages being present on the contact points of the key. 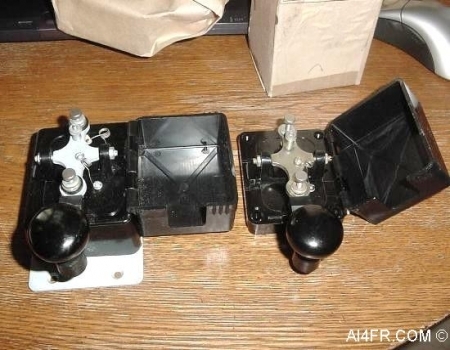 The photograph on the left shows the bottom of the telegraph key. The picture on the right shows what the key looks like with the hinged cover folded over. 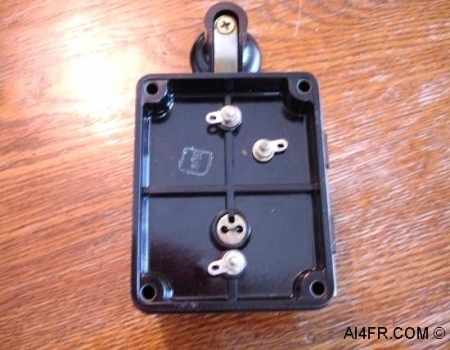 The picture on the left is another view of the key with the hinged cover in the open position. 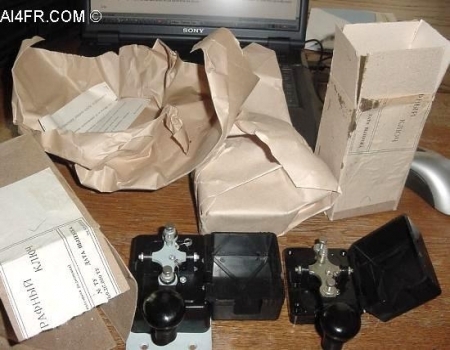 The photograph on the right is a picture of two Russian key boxes exactly as they were received and most likely how they left the manufacturer. 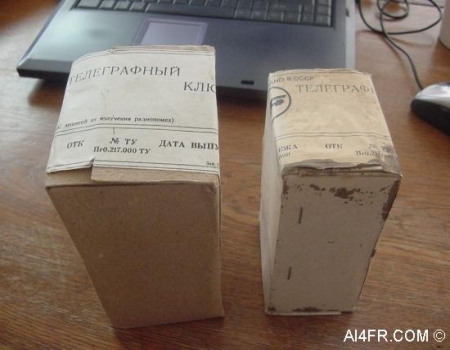 The box on the left is slightly larger and pictures of the Russian key from inside of it can be found here. These last two pictures were taken right after the boxes were opened. 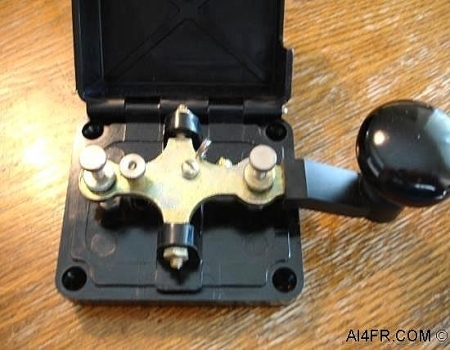 It almost looks like Christmas Amateur radio style. In the photograph on the left one can see the brown wrapping paper used to secure the keys. It is not an optical illusion as the key on the left in both of these pictures is slightly larger. Photographs of this larger key can be found by clicking here.